September 2018 marks 25 years of Gorilla tourism in Uganda so what better way to celebrate than to add Uganda holidays to our portfolio! Mountain Gorillas have survived in Uganda, largely due to conservation efforts and these are directly assisted by tourism. Back in 1993, just one family – named ‘Mubare’ after the hills in which they lived – was habituated to humans, allowing just 8 tourists a day to have a magical gorilla encounter. Twenty-five years on, the number of habituated gorilla groups now stands at 14, with park visitors increasing from 1,313 to over 20,000 in 2017. Uganda Wildlife Authority work with several other NGO’s and charities to maintain the forest in which they live and with no mountain gorillas ever surviving in captivity, it highlights just how vital protecting their natural habitat is to their survival. 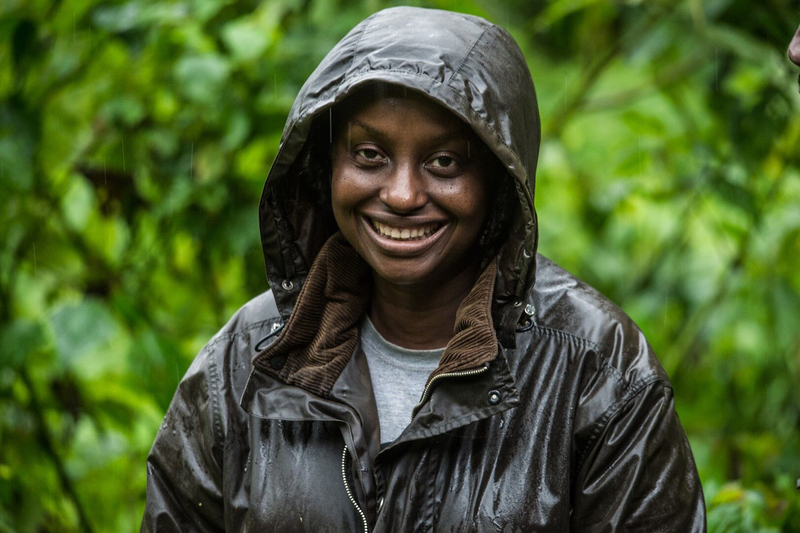 Our MD Simon Rowland caught up with Uganda’s answer to Dian Fossey, Gorilla Doctor Gladys Kalema-Zikusoka to find out more about these critically endangered species and how we can help protect them. Can you tell us how tourism is directly helping the survival of mountain gorillas? Tourism is directly helping the mountain gorillas by providing a sustainable source of income for gorilla conservation. 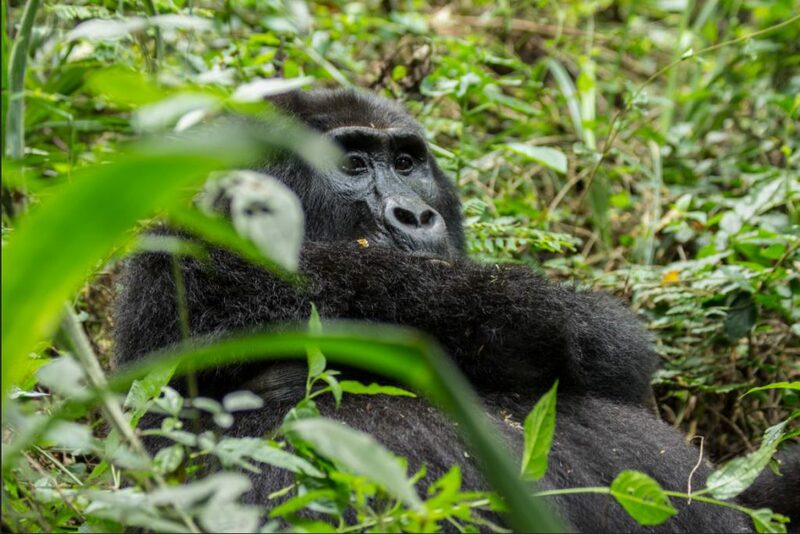 Ecotourism with such an endangered species not only encourages the need to tread lightly through limiting the number of tourists to each gorilla group, but also provides benefits to local communities who are engaged in the tourism industry through employment, local businesses selling crafts, accommodation and food among others. We read in the news recently that mountain gorilla numbers are now above 1000 for the first time. What has contributed to this growth in numbers? A number of factors have contributed to the increase in mountain gorilla numbers from 650 when I first started working with gorillas in the 1990s to over 1,000 this year. This includes veterinary care for individual gorillas, improving community health to reduce disease transmission between people and gorillas and other community conservation efforts such as ecotourism and support to local coffee farmers, which improves community livelihoods and reduces their dependence on the gorilla habitat to meet basic needs for food and fuel wood; as well as law enforcement and research and monitoring to guide better management of the critically endangered gorillas and their fragile habitats. How did you become a Gorilla Doctor? 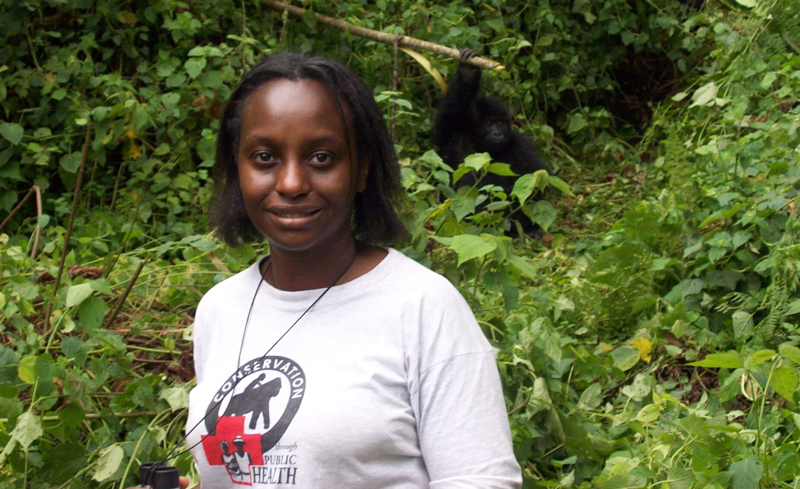 I became a gorilla doctor after I conducted research on parasites and bacteria in the mountain gorillas at Bwindi Impenetrable National Park as part of my studies as a veterinary student at the Royal Veterinary College, University of London. I had always wanted to be a vet and when I started a wildlife club in my high school, Kibuli Secondary School in Uganda, I decided that I want to become a vet who also works with wildlife. In the fourth year of vet school, I got the opportunity to study the mountain gorillas and was hosted by Dr. Liz Macfie, heading the International Gorilla Conservation Programme (IGCP) in Uganda that was working with Uganda National Parks, which later became Uganda Wildlife Authority (UWA) to develop mountain gorilla ecotourism. The four weeks I spent at Bwindi in 1994, when tourism had just began was a life changing experience that made me want to become a full time wildlife veterinarian. One year later I got my dream job as the first veterinarian for Uganda Wildlife Authority because they needed a vet to look after the gorillas to minimize the risk of cross species disease transmission from closely related humans including tourists. � Uganda celebrates 25 years of gorilla tourism this year, what’s been the biggest change in 25 years? We know that every time we trek for gorillas we are helping through awareness and our permit price but how else can our readers support gorillas survival both now and in the future? People can support gorilla tourism through adding a day or two after the gorilla trekking to learn about the local conservation efforts on the ground, how gorillas are looked after through health services and how the local communities’ quality of life is being improved through engagement in conservation and livelihood activities that enable them to coexist with the gorillas and other wildlife at Bwindi. To find out more about Wildfoot Travel’s trips to Uganda click here.